If you have any requests concerning your personal information or any queries with regard to these practices, please email the charity on [email protected] or call 07960561988 at any time. Please note that all data thus captured will be used and held in accordance with the requirements of the Data Protection Act 2018 and the General Data Protection Regulation (Regulation (EU) 2016/679). We collect information from visitors to this website through the use of online forms (e.g. Cognito Forms)/ email hyperlinks, and every time you email us your details. We also collect information about the transactions you undertake through this site (e.g. PayPal link), including details of payment cards used. dealing with your inquiries and requests and providing you with information about our charitable work and events (fund raising and otherwise). A cookie is a small file of letters and numbers that we put on your computer if you agree. Please note that your information may be used to send you information about our charitable work and events (fund raising and otherwise) that we have identified as likely to be of interest to you. If at any point you would like to opt-out of receiving communications from us, please email the charity on [email protected] or call 07960561988 at any time. We will only disclose data to other organisations, government bodies and law enforcement agencies and suppliers we engage to process data on our behalf. If you click on a hyperlink from this site to any third party websites (e.g. 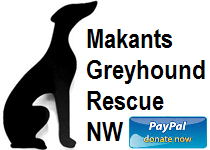 if you 'share' content from Makants’ website with friends or colleagues through social networks, or make a donation and/or payment via our PayPal link), you may be sent cookies from these third party websites. Third party websites will have their own privacy and cookie policies which Makants’ cannot control. Please check the third-party websites for more information about their cookies and how to manage them. You have the right to see what personal data we hold about you. To obtain a copy of the personal information we hold about you, please email the charity on [email protected] or call 07960561988 at any time. If at any time you prefer for you and/or your family member not to be photographed or visually recorded, or you would like to see your images, or would like us to delete them, the please email the charity on [email protected] or call 07960561988 at any time.